8 bottle, single or double temperature wine dispenser and cooler. The OTTO is designed with Italian styling to enhance any bar, restaurant or wine store. Sturdy construction makes the OTTO perfect for any commercial setting. 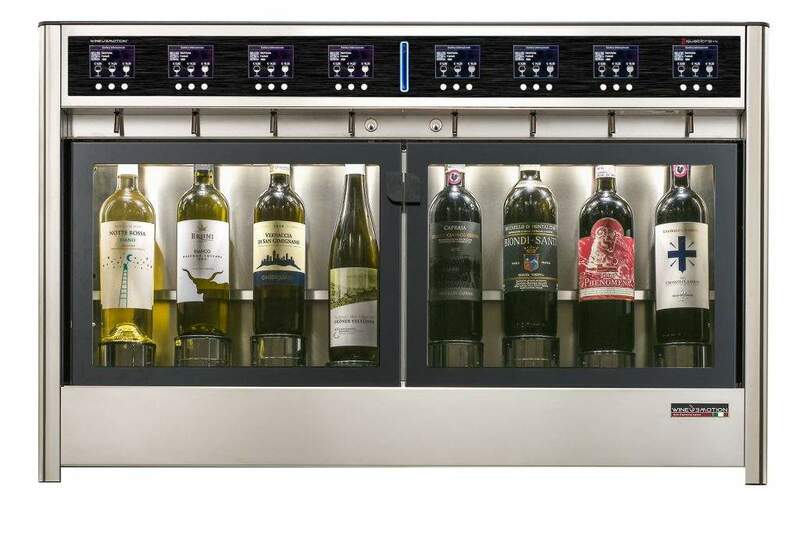 Its classic lines and advanced features set the OTTO apart from similar commercial wine dispensers on the market. Owning a Wineemotion OTTO will enhance your wine sales and communicate to your customers the caliber of your wine program. As with all Wineemotion systems, the OTTO can be customized to match or elevate any décor and vision 8 Bottle Position. Activated by Wine card and Barcode* reader. Otto Room temperature Eight Bottles, room temperature with optional polycarbonate, high visibility door. 8 – Quattro +4 Eight Bottles, double temperature with polycarbonate, high visibility door 4+4. 8 Tre + 5 Eight Bottles, double temperature with polycarbonate, high visibility door 3+5.